Winter was mild and very rainy, followed by a fresh and equally wet Spring. The vines phenological stages were slightly delayed, such as veraison that happened around the half of July. We started harvesting the Monteti varieties on September the 18th with the Cabernet Franc and finished the 3rd of October with the last Petit Verdot. The harvest was disturbed by a certain weather variability throughout. We had to apply a rigorous selection of the grapes both in the field and on the sorting tables. 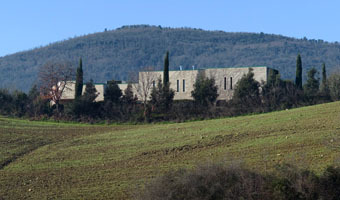 Therefore the yield was very low and the Monteti number of bottles for this vintage is almost half of the usual production. Of an intense ruby red, it offers notes of dark fruits, blackberry, sweet spices, licorice, leather and tobacco. 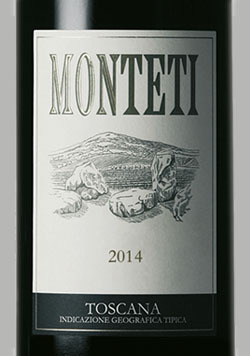 Elegant, enveloping and deep at the palate, with a long finale sustained by a good acidity. VARIETIES: 60% Petit Verdot, 20% Cabernet Sauvignon, 20% Cabernet Franc. MATURATION: 18 months in medium-toasted French oak barriques (70% new and 30% of second passage). This is followed by further 24 months of bottle ageing. No fining or filtering.